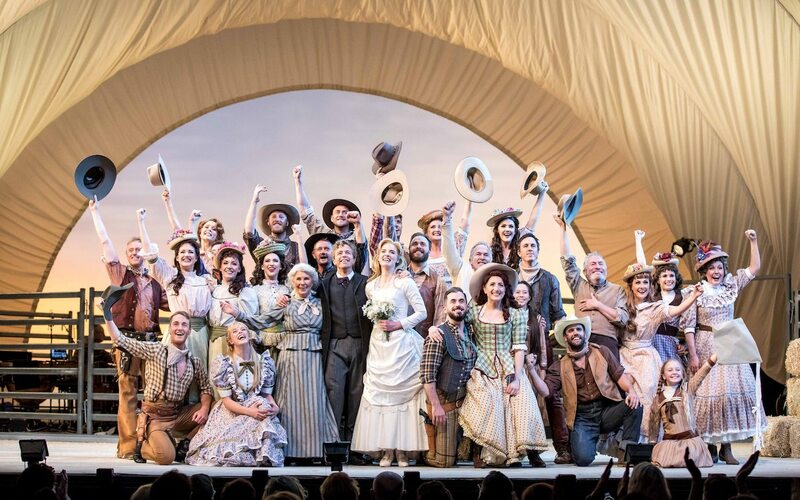 Capturing the sunny optimism and sweeping scope that have characterised the cherished musical for 75 years, The Production Company has crafted a knockout staging of Oklahoma! in which each element is at the highest standard. In a piece of magical synergy, the whole is even greater than the sum of the parts. While casting, music, setting, wardrobe, sound and lighting are all at a premium, the lynchpin in the show’s success is Chris Parker, who makes a highly auspicious debut as director. Parker projects a mighty confidence in his use of space, and his seamless flow of scenes tame the sprawling musical to a compelling and highly entertaining running time of 170 minutes (including interval). The foundation of Parker’s success is his utter respect for the material. Stereotypes may abound in the writing, but Parker trusts that the intelligent audience will accredit this to accepted norms of the day. Beneath the caricatures, Parker finds an authentic humanity. In the hands of such stellar actors, the humour lands with fresh appeal, chemistry abounds and, even more impressively, the moments of pathos and danger are authentically affecting. The finishing touch is the quality of the ensemble work, with every cast member being fully engaged in the action at all times. In his fifteenth engagement at The Production Company, masterful musical director Guy Simpson leads The Production Company Orchestra in a delightful performance of the beloved score. Much as the ensemble members are terrific dancers, they are equally skilled singers, and lush vocal harmonies are achieved with deft balance. Simpson adds to the quality of the lead performances by bringing out carefully considered dynamics and phrasing, which add fresh expression to the well-known songs. In her first engagement as choreographer for The Production Company, Amy Campbell works with unbridled confidence and flair. 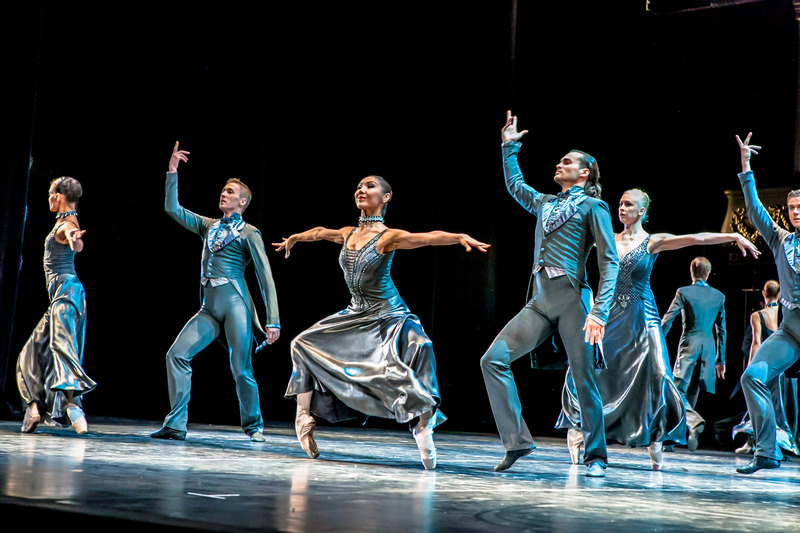 Matching Parker’s excellent use of space, Campbell’s key achievement is adding dance that derives so organically from the action that it does not even feel like choreography. 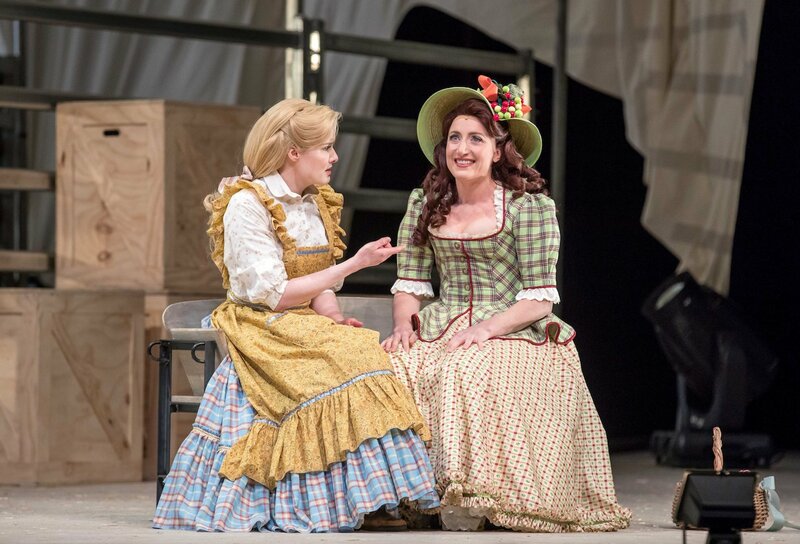 Production numbers such as “Kansas City” and “The Farmer and the Cowman” feature dance that is lively and polished as it is witty and infectious. 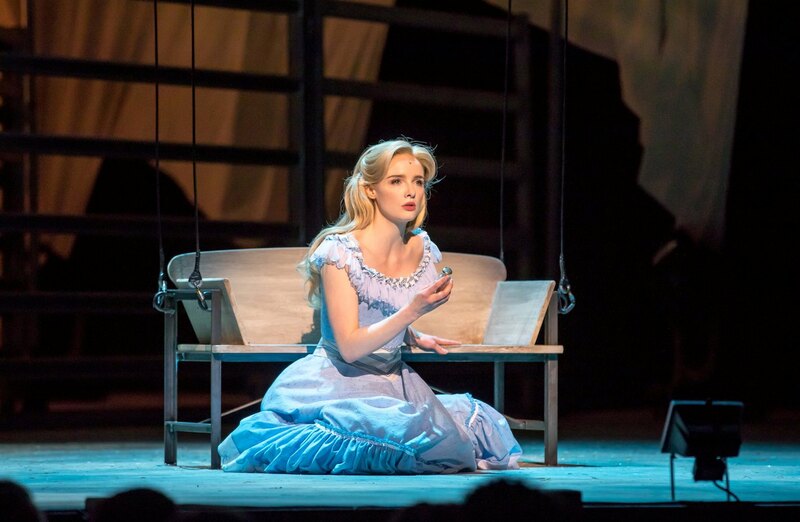 The jewel in the crown is the riveting “Dream Ballet,” in which Campbell is blessed to have Stefanie Jones as Dream Laurie. 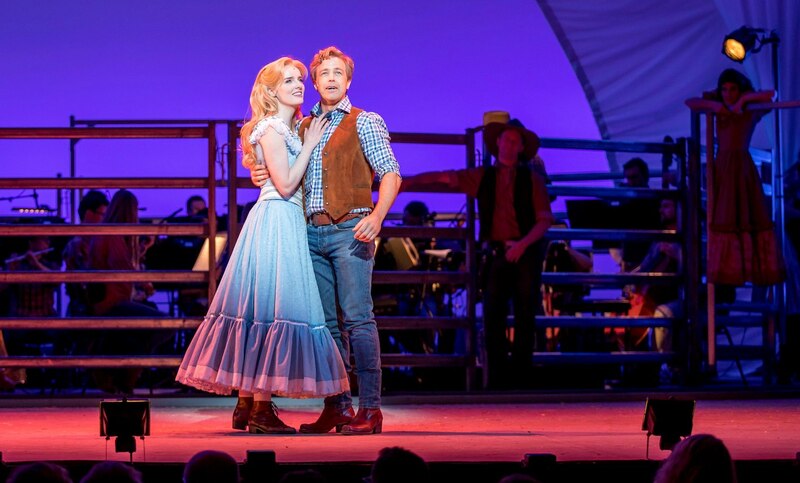 Recent productions of Oklahoma! have veered towards the lead actors dancing the dream roles, but with Jones, Daniel Roberts (Dream Curly), Jared Bryan (Dream Jud) and equally wonderful ensemble dancers, Campbell embraces the opportunity to push the spectacle to its limits. For a concert staging, Oklahoma! is a visual feast. Isaac Lummis’ costumes are a delectable confection of pastel floral prints contrasted with masculine plaid. The degree of construction in the costumes illustrates The Production Company’s progress in budget over the years. Beautifully styled wigs (Trent Whitmore) add to the period look, with pristine millenary (Phillip Rhodes) completing the picture. In an inspired concept, set designer Dale Ferguson frames the action with soaring calico arches that give the appearance of a covered wagon. Metal cattle fencing makes for a practical and flexible staging element at ground level. Lighting designer Matt Scott adds layers of atmosphere with rich colour, and successfully draws in the focus for the more intimate scenes. 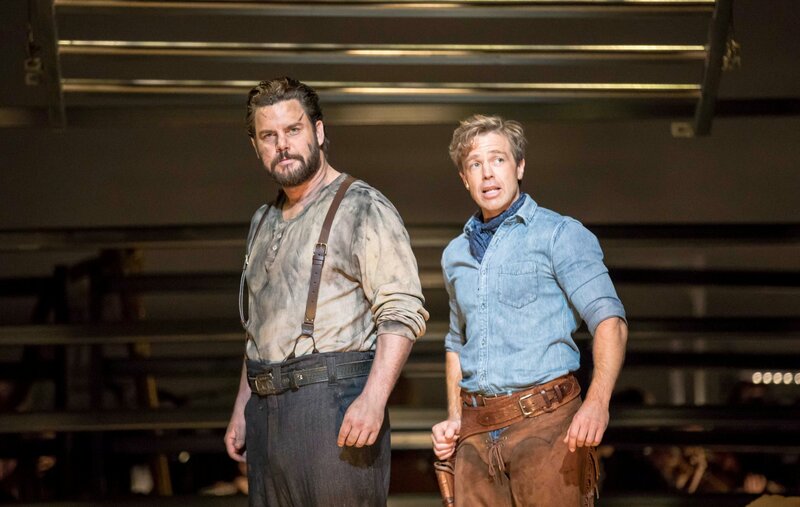 As big-hearted cowboy Curly opens the show with “Oh, What A Beautiful Mornin’,” versatile leading man Simon Gleeson captures all the sunshine and splendour of the plains in his sumptuous vocal tone. Gleeson proceeds with a neatly understated performance that balances charisma with naturalism and is imbued with his trademark generosity. Leading lady Anna O’Byrne makes a welcome return to The Production Company, blessing Laurie with her silvery soprano. As the feisty yet feminine farm girl, O’Byrne underpins Laurie’s blossoming maturity with fragile vulnerability, creating an endearing characterisation. 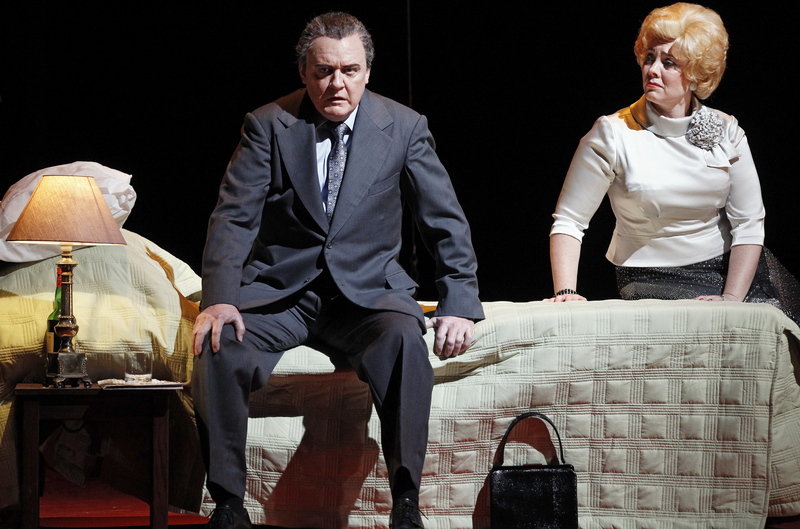 O’Byrne and Gleeson enjoy genuine chemistry and sound wonderful together in duets. Given the striking similarity between the frisky roles of Ado Annie in Oklahoma! and Meg in Brigadoon, it is a credit to the range of Elise McCann that she gives such distinctive performances in subsequent seasons. McCann conveys Annie’s romantic predilections as guileless charm, keeping the character well clear of comic stereotype. McCann’s powerhouse vocals are an additional treat. 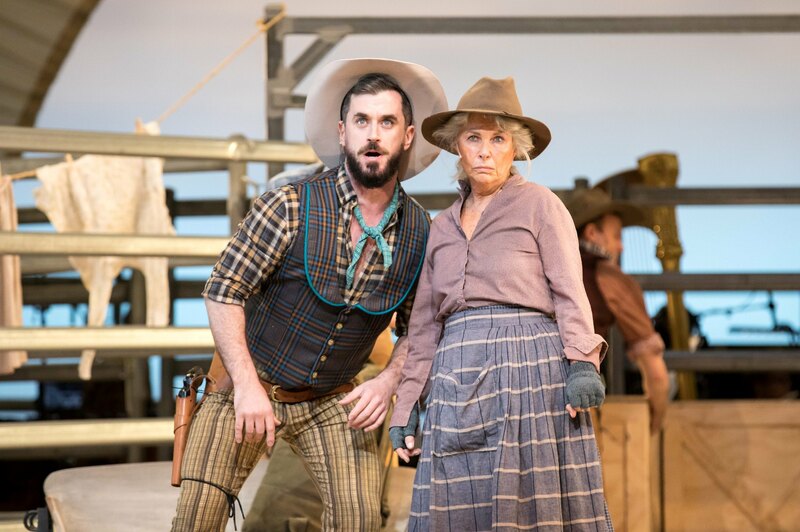 Bobby Fox is perfectly cast as high-spirited cowboy Will Parker, with early number “Kansas City” a fitting showcase for his characterful dance ability. In a magnetic performance, Fox drives the secondary romance of Will and Annie, making Will all the more endearing by highlighting his hapless innocence. Australian stage royalty, Robyn Nevin makes her The Production Company debut as crotchety sweetheart Aunt Eller. Having been bitten by the musical theatre bug in My Fair Lady, Nevin takes a step forward this time in a role that requires her to sing, a facet she pulls off with great aplomb. Proving herself a great team player, Nevin breathes fresh life into Aunt Eller while bringing clear authority to the dear woman’s pearls of wisdom. Looking grizzled and grimy, Ben Mingay does not shy away from the darkness of festering farmhand Jud Fry. Jud’s lament “Lonely Room” comes at a point when act one can start to feel a little long, but Mingay’s rich baritone makes for a compelling rendition. Grant Piro makes the most of the comedy of seductive peddler Ali Hakim. Piro is somewhat undermined by the blandness of his costume, which bears no sign of the flim flam of the ostentatious fellow. Nonetheless, Ali’s romantic entanglements are a key feature of the comedy. Veteran stage actor Richard Piper is a very welcome addition to the cast as gruff patriarch Andrew Carnes. Glaston Toft lends reliable support as Slim. Greta Sherrif is a delight as giggling Gertie Cummings. Oklahoma! has an energy that is set to catapult The Production Company onwards for their next twenty years. 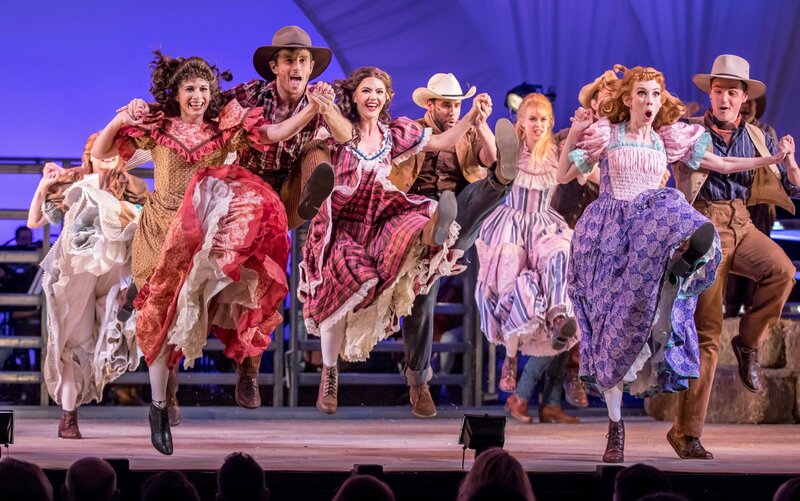 Lovers of traditional musical theatre must not miss Oklahoma!. Oklahoma! plays at State Theatre, Arts Centre Melbourne until 3 June 2018.